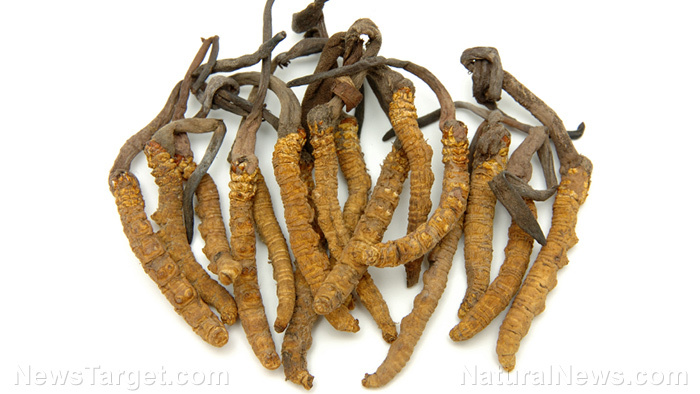 (Natural News) Since ancient times, cordyceps mushroom has been widely used as a traditional medicine that assists the immune system in fighting off disease and infection. Korean researchers were recently able to further empower the immune activity of the traditional medicine by using lactic acid bacteria to ferment the mushrooms. The resulting probiotic product is even more effective at supporting the immune system. Fermented cordyceps also has higher levels of available nutrients. This is good news for people who are afflicted with immunosuppression, a disorder where the immune system is not working properly. Be it temporary or permanent, this immune dysfunction makes an organism more vulnerable to infection. Researchers from Gachon University (GU) looked for ways to support weakened immune systems. They settled upon the cordyceps mushroom (Cordyceps militaris), which is known to boost immune response, control inflammation, and even display anti-cancer activities against certain types of cancer. Cordyceps mushrooms normally grow on the dead body of insects, which makes them rare. The researchers cultured their samples on an alternative material: The snoutbean plant (Rhynchosia nulubilis), which has bioactive components that are absorbed by the fungi. Cordyceps mushrooms were grown on snoutbean material. They were then fermented with three different types of lactic acid bacteria. The Pediococcus pentosaceus strain was isolated from onion. The Lactobacillus pentosus strain was taken from pickled burdock. Finally, the Weissella cibaria strain came from salted clams. For the experiment, the researchers set up a mouse model. The animals were injected with cyclophosphamide – a toxic drug used in chemotherapy treatment – that simulated immunosuppression. The immune-suppressed mice were divided into three groups. The control group got distilled water, another group was treated with cordyceps mushroom extract, and the third received fermented cordyceps. At the end of the 19-day trial period, all mice were weighed and sacrificed. Their spleens and thymuses were extracted for examination. They were analyzed for chemicals that indicated immune activity, such as betaglucan, cordycepin, and short chain fatty acids. Furthermore, the researchers harvested peritoneal macrophages from both treated and untreated mice. The ability of these macrophages to engulf simulated pathogens were compared with non-treated equivalents. The researchers reported that the most active probiotic-fermented sample was the one using P. pentosaceus. This strain produced the largest amount of nitric oxide, a reactive oxygen/nitrogen species generated by active macrophages. The high level of nitric oxide resulted in greater numbers of tumor necrosis factor alpha (TNF alpha) and interleukin-10 (IL-10). These cytokines are involved in immune response, with the former causing inflammation and the latter regulating it. When given to immunosuppressed mice, the fermented cordyceps mushroom increased the amount of peritoneal macrophages, thereby improving their immune systems. The probiotics appeared to regulate both the anti-inflammatory and phagocytic activities of macrophages. The spleens and thymuses of the mice are important organs of the immune system. Mice treated with the fermented cordyceps showed healthier spleen and thymus function despite the negative effect of the chemotherapy. The GU researchers noted that the bioactive compounds of cordyceps mushroom changed after it was processed by lactic acid bacteria. The fermented food contained more betaglucan, cordycepin, and short chain fatty acids. They believed the fermenting action of the P. pentosaceus bacteria increased the amounts of these nutrients. Find out what other fermented foods can bolster your immune system at NaturalHealth.news.